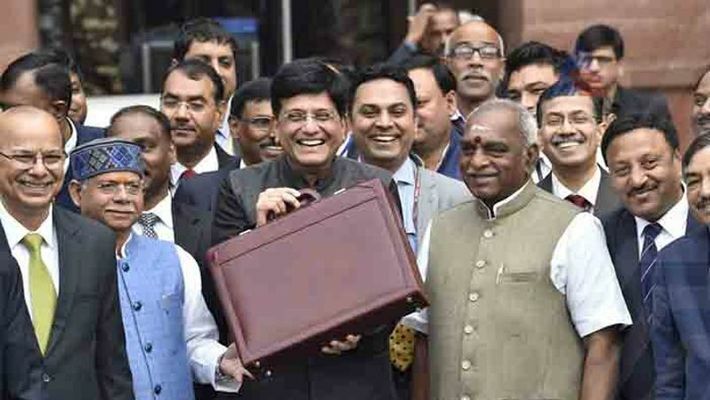 The Union Budget 2019-20 presented by finance minister Piyush Goyal on February 1 has remarkable features beyond tax relief, support to farmers and fiscal discipline despite a welfare bonanza. Read on to know how India as well as Bharat is getting empowered. The Union Budget for the financial year 2019-20 was presented by finance minister Piyush Goyal on February 1. The Budget, although termed an interim one, made significant announcements, catering to various political constituencies, and addressing some long pending demands. The commentary since the release of the Budget proposals has focussed on the incentives announced for the taxpayers in the Rs 5 lakh slab, incentives for the small farmers and concern over the fiscal glide path. There were, however, a few other important announcements, some no less significant than what has grabbed the eyeballs, but these did not get top billing. The Narendra Modi government has announced a pension scheme for the workers in the unorganised sector. The scheme is targeted at the unorganised sector workers who earn a monthly income of ₨ 15,000 or less. This pension scheme will provide such individuals a monthly sum of ₨ 3,000 after they turn 60. The beneficiary will be required to contribute a small monthly sum, starting at ₨ 100, while the government will match the contribution during the working age. The scheme is targeted at more than 10 crore workers who do not have formal employment benefits. The government has announced a two-year plan to simplify the direct tax system. Once the new technology systems are implemented, the department will be able to process all income tax returns in 24 hours. All verification and scrutiny of data will be conducted through a human-less interface. A pilot project has, anyway, been going on along these lines in several cities. The arrangement will now be extended to all of India. The tax base has grown 80% during the Modi government regime — from 3.79 crore to 6.85 crore. Removing human intervention will help support the increased scale as well as keep points of potential corruption to a minimum. The Railways Budget is now subsumed under the Union’s. So, the focus and scrutiny of yesteryears on this area is gone. However, the Union Budget showed that the Railways had posted increased earnings for both passenger and freight segments this financial year. The passenger fare receipts grew by 6% while the freight receipts grew 10.8%. The operating ratio was down from 98.4% to 96.2% showing improvement, though under Budget. Overall the financial year 2018-19 has been the safest year in Indian Railways history with an all-round focus on safety and renovation of infrastructure. The rise of artificial intelligence (AI) technology has been well-documented. Several countries, notably the United States and China, have invested huge resources in researching and mastering AI and related areas, with application in governance, international relations, and influencing and predicting significant policies near and far. In his Budget speech, Goyal proposed a National Programme on Artificial Intelligence. The government will set up a National Centre for Artificial Intelligence to drive the programme. This hub will be connected to various centres of excellence, which will focus on research and development in priority areas. The government has identified nine priority areas as well. The details of the programme and the associated implementation structure are likely to be released soon via a national artificial intelligence portal. India proposed the highest ever defence Budget in 2019-20. Of the total 27.84 lakh crore to be spent by the government, 3.18 lakh crore will be spent on defence and an additional 1.12 lakh crores on defence pensions. A total of 15.48% of the government Budget will be on defence. Of the 3.18 lakh crore allocated for defence spending, 2.1 lakh crore will be the net revenue expenditure, while 1.08 lakh crore will be for capital expenditure (capex). The government has Budgeted a total of 3.36 lakh crore as the capex for 2019-20. The defence capex thus forms 32.2% of the total government capex. While the Budget has been labelled populist and political for the specific taxation and fiscal measures proposed, the Budget was much more than that. This Budget helped PM Modi steal the thunder from the opposition, which was planning to propose similar measures in its manifesto. The ruling Bharatiya Janata Party went one-up by implementing some of the ideas right away, ahead of the elections.